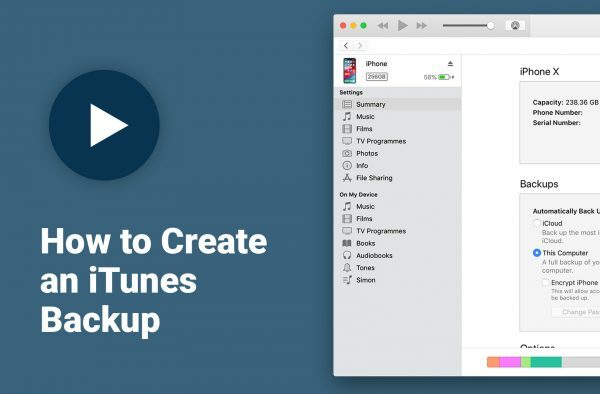 In this article we’ll show you how to get started with Certo iPhone, from downloading the software right through to scanning your device. 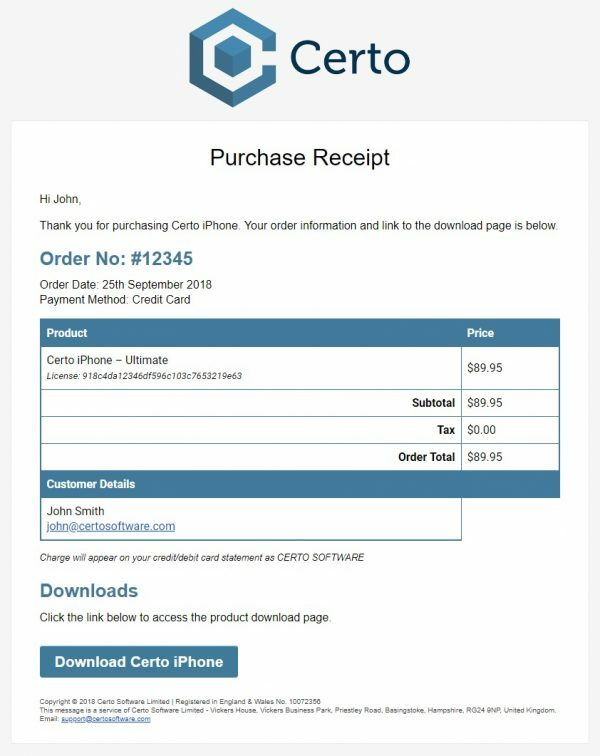 Shortly after purchasing Certo iPhone you will receive a purchase receipt email from us. This contains a link to the product download page, where you can access the software and user guide. If you haven’t received your purchase receipt within 1 hour, please click here for help. 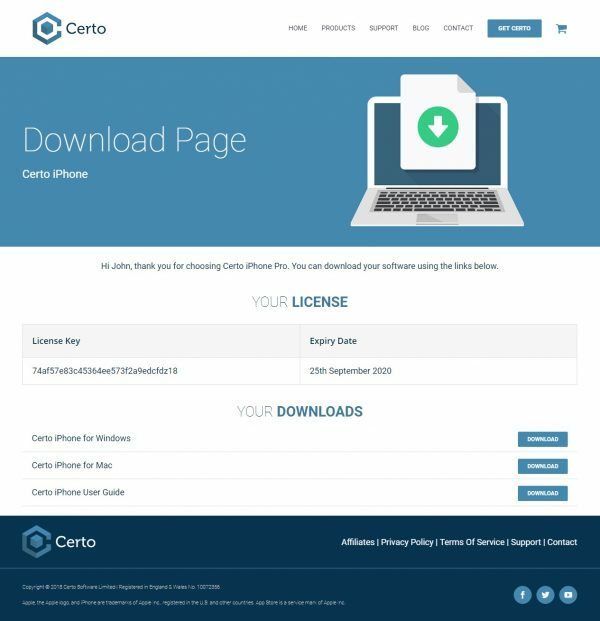 Use the product download page to download the Certo iPhone installer to your Windows or Mac computer. Due to restrictions imposed by Apple, spyware scanning apps cannot be installed directly onto iPhones/iPads. 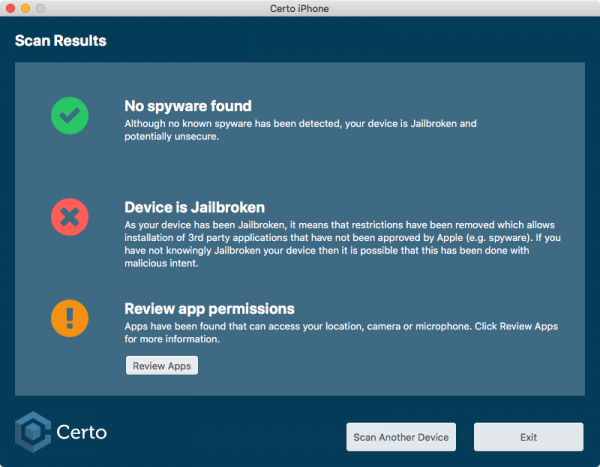 Certo iPhone works via your computer, meaning it can scan iPhones/iPads for spyware and other security vulnerabilities. 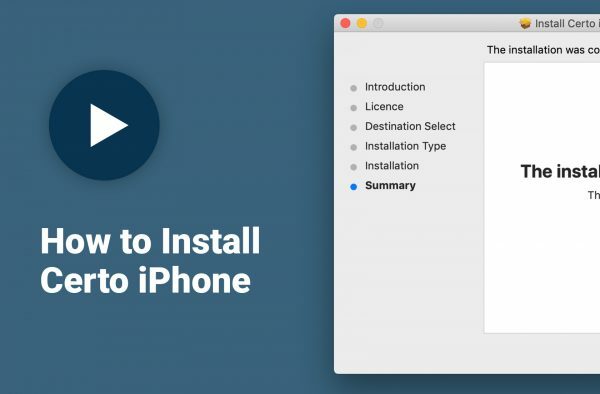 After downloading, run the installer and follow the onscreen instructions to install Certo iPhone onto your computer. The first time you run Certo iPhone you will be prompted to enter your license key. You can find your license key in your purchase receipt email or displayed on the product download page. 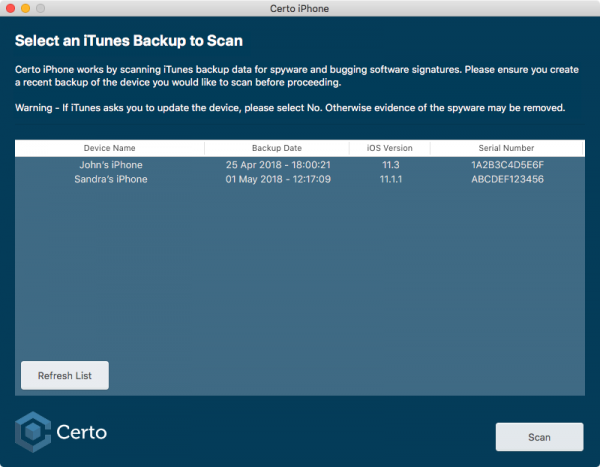 Once you’ve created your iTunes backup it will be available to scan within the Certo application. Just select your backup from the list and click Scan to check your device for spyware and other security vulnerabilities. Your results will be displayed once the scan has completed. These include: any spyware found, whether the device is Jailbroken and details of any apps that can access your location, microphone or camera. Click here to read more about scanning your device and interpreting the results.